Looking for private in-home or in-studio Viola lessons? Our Newhall teachers are ready to get you started. Find your teacher today! Check out some of our most popular teachers near Newhall, CA including Los Angeles, Long Beach, Glendale, Burbank and Pasadena. Like many violin teachers, I love teaching the viola! It's a gorgeous instrument, and I have had the pleasure of playing viola in chamber groups, teaching many young viola students, and collaborative with violists regularly in chamber music settings. Whether you're a beginning student, are looking for a practice coach, or want help with excerpts, I can't wait to get started! ⭐️Greetings! I'm a full-time private music tutor who specializes in easy and fun introductions to music for young beginners! I'm an Exact-Notes certified teacher, which means I teach lessons supported with a blend of one-on-one private lessons and virtual courses that give amazing support and structure to your student's learning between lessons. For many students, this means they only need lessons every other week or less! Zoe felt comfortable and enjoyed the lesson. Zach was able to help us figure out how to get the instrument back in tune after moving to a new climate. The online format worked great. Zach is encouraging and makes lessons fun! Emma is delighted with her first lesson. I needed to insist on putting her violin down to sit down and finish her school work. She is home schooled. Love the way he teaches. Very clear lessons. 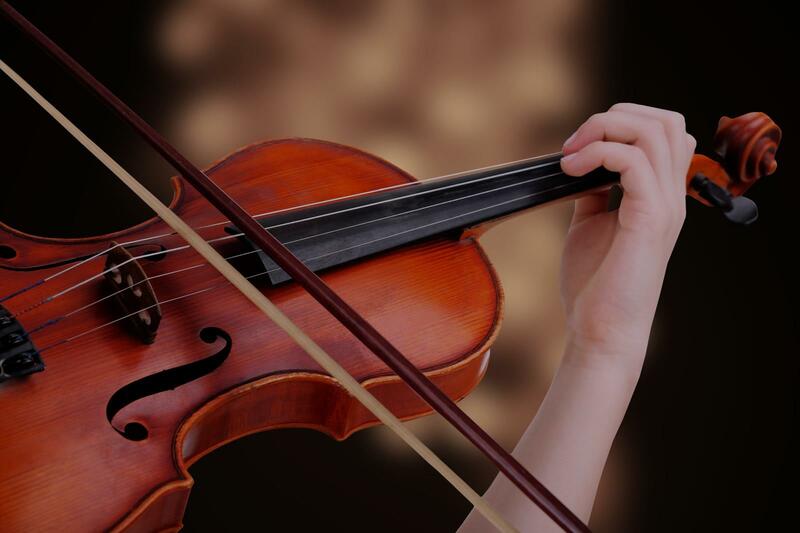 I have 18 years of high quality viola performance training from Cleveland to California and hold a Masters in performance as well as founding 2 professional string quartets. I've recorded with most genres of music and have performed on classical stages as well as in rock venues. I've worked in the yoga industry alongside my studies. I particularly enjoy teaching Viola, as well as audition prep to high school students, adults of all levels, and beginners ages 6 and up! I currently teach grades 2, 3, & 4 beginner violin with Youth Orchestra Los Angeles. Violist Erica Zappia has premiered new music and performed classics around the globe. Originally a native of Cleveland, Erica currently calls Los Angeles, California home. She has earned an M.M. in viola performance at the San Francisco Conservatory and holds a B.M. from Indiana University Jacobs School of Music. Her teachers are Jodi Levitz, Alan de Veritch, and Jeffery Irvine. Performance venues and festivals include The Kronos Festival, Aspen Music Festival, The Fillmore, Boulder Bach Festival, Adriatic Chamber Music Festival, Schlern International Chamber Music Festival, The Red Poppy Art House, Kinhaven Music School, Pressidio Sessions, and more. She has performed in places such as Australia, Boulder, Dallas, Italy, New York, San Francisco, Singapore, Vienna, and beyond. ounding violist with Amaranth Quartet and Thalia Strings. She was a member of Odysseus Chamber Orchestra and One Found Sound. Alongside performing, Erica has been an active teacher since 2005. She currently teaches with Youth Orchestra Los Angeles as well as with her private studio. In the past she held a studio of 50 students in Dallas and, in the Bay Area, worked with the Palo Alto Chamber Orchestra and the Young Musicians Choral Orchestra. Can't find a teacher in Newhall, CA? d attentive teacher to my daughter. I highly recommend her!" "Tigran was so patient and my little girl sounded much better after one lesson!" "very detailed and patient with student"
"Anna is an exceptional and outstanding teacher. veral years. I have seen a tremendous improvement in both my children since they started taking lessons with her. She has complete in-depth knowledge of music that she strives to share with her students. Her teaching style has been extremely helpful and effective. She adapts her teaching method to suit each individual in order to meet the needs of students and objectives to be achieved. So her lessons have been a tremendous help to develop my children's techniques, performance skills, musical knowledge, and confidence. Also she is an inspiring and encouraging teacher who really cares about her students and has great enthusiasm for teaching. I would recommend her to anyone without hesitation!!!"